NEWPORT, R.I. — Sam Querrey, currently the No. 3 American and No. 22 ranked ATP World Tour player, has committed to compete in the Campbell’s Hall of Fame Tennis Championships, which will be held July 5 - 11, 2010 at the International Tennis Hall of Fame in Newport, R.I. This will be Querrey’s third appearance at the event, where he was finalist to Rajeev Ram last year. At last week’s Regions Morgan Keegan Championships in Memphis, Querrey defeated top ranked American and world No. 7 Andy Roddick in a quarterfinal match, and went on to clinch his third ATP World Tour title by defeating his Davis Cup teammate, No. 2 American John Isner. Following his singles victory, Querrey and Isner teamed up to capture the doubles title with a 6-4, 6-4 win over Ross Hutchins and Jordan Kerr. In the week prior to his Memphis victories, Querry reached the semi-finals and won the doubles title with Mardy Fish at the SAP Open in San Jose. Next week, Querrey and Isner will compete together again, this time as Davis Cup teammates. Davis Cup Captain Patrick McEnroe named the pair to the U.S. team last week along with the Bryan brothers doubles team, marking the first time since 2000 that Andy Roddick and James Blake will not compete. Querrey will be making his second appearance for the U.S. team while Isner will be making his Davis Cup debut. Querrey has steadily advanced through the ATP World Tour rankings since turning professional at age 18 in June 2006. The following month, he made his first professional ATP World Tour appearance at the Campbell’s Hall of Fame Tennis Championships when he received a wild card. He won his first round match, and then bowed out to the tournament’s No. 1 seed, Andy Murray. He has three ATP World Tour titles to his name and a career record of 102-86. 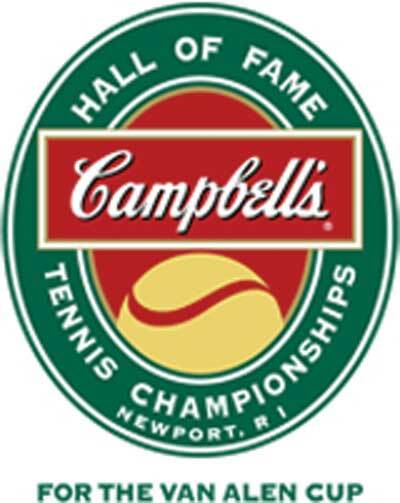 The Campbell’s Hall of Fame Tennis Championships is an ATP World Tour event drawing 32 top male players to Newport direct from Wimbledon to compete for the Van Alen Cup and $442,500 in prize money. Tickets for the tournament are now available for purchase online through www.tennisfame.com or by calling the Tournament Office at 401-849-6053 or 866-914-FAME (3263). Complementing another exciting week of ATP World Tour tennis will be the Class of 2010 Induction Ceremony. The Induction Ceremony will be held on Saturday, July 10 at 12:30 p.m., prior to the tournament’s semifinal match. Class of 2010 Inductees will be announced on Monday, March 1 as part of Tennis Night in America at the BNP Paribas Showdown at Madison Square Garden.